Is your company’s graphics department in need of a little artistic inspiration? Psychologists suggest adding purple paint to a wall or two to stimulate creativity; it lends feelings of mystery and sophistication. However, don’t pick a hue as light as lavender, which is more relaxing. Color associations tend to hold stable among cultures, meaning we have common intrinsic reactions to color. Hospitals, schools and prisons choose hues known to pacify or calm populations, while amusement parks use tones sure to excite and stimulate the senses; a feeling of excitement quickly becomes associated with a trip to the carnival. 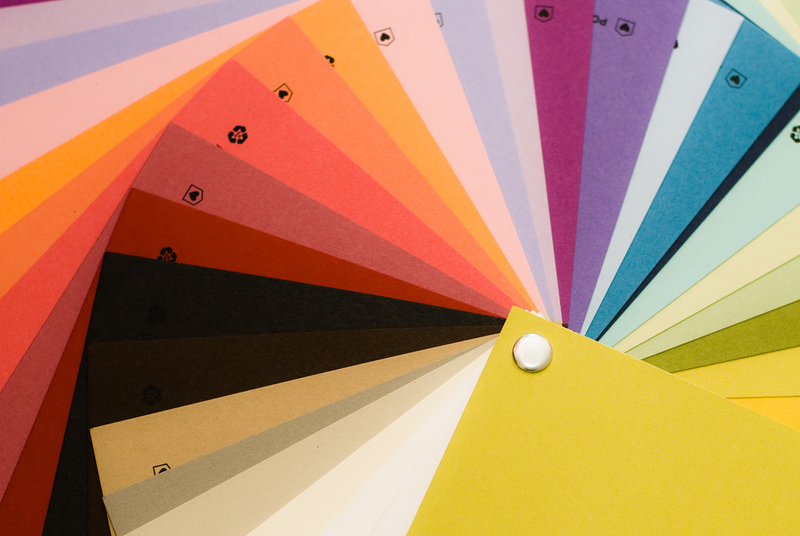 What does color mean in your business? Your marketing staff likely already knows to add a splash of yellow to help get a print ad noticed – it’s the first color perceived by the human eye. That’s why many emergency vehicles changed from red to yellow, for more immediate visibility on the road. But be judicious in its use; while most of us recognize yellow’s most obvious message of happiness, laughter and optimism, psychologists have discovered that too much or too intense a yellow can move the dial toward hunger, frustration and even anger. Less is more when it comes to yellow, making it a great attention-getting accent color. If you want to be noticed at a trade show, incorporate orange with your logo colors at your booth. Orange is perceived as warm and welcoming. It signals “excited, happy, energetic.” (It also subtly hints at wealth and prosperity.) Make sure to assign booth hosts who exude enthusiasm and high energy, as well, or all your effort could backfire. Conference room color choices: To encourage belief that your business solution is timeless and practical, invite clients into a conference room where the predominant color is gray, perhaps anchored with white (cleanliness) or black (which is most often associated with intelligence, authority and strength). Green is a great color choice for attorneys and negotiators: it’s a cool color that conveys not only “natural” but also good health and growth. Green is also associated in our culture with tranquility, calmness and harmony. Blue is often used for conference or waiting rooms (messaging calmness and serenity), it moves our scale from “cool” to “cold”. Blue signals wisdom, truth and loyalty. It also hints of an uncaring, or a more institutional backdrop. Brown is historically underused, but newer designer color schemes are making better use of its feeling of reliability, stability and friendship. It’s perceived to be a more organic color, naturally offering a feeling of warmth and comfort. If that’s a marketing message, consider how to incorporate it into presentation materials or the physical backdrop. Knowing how to moderate color is an acquired skill. For example, women executives have long understood the influence of a red power suit, but the addition of a scarf of a pink hue can feminize the effect and move the dial a little toward approachability without sacrificing influence. The bottom line is that color is another way to extend your personal and professional brand, and the more we learn, the more meaningful our pallet becomes.